The doctor's visit was full of questions and answers (or the beginning of more questions). Essentially, the conversation led the the following conclusions: I have three more treatments of chemotherapy left. I will need to schedule a new appointment with my breast surgeon at a time shortly after my last treatment. My surgery (lumpectomy or mastectomy) will be done around 1 month after my last chemotherapy visit. A lumpectomy and mastectomy are statistically as effective and have similar survival rates, so both are fine option in my case. If I choose the lumpectomy (which I am leaning towards), I will begin radiation around 1 month after surgery. Radiation will be every day M-F for 7 weeks of treatment. I was scheduled an appointment with a Radiation Oncologist so I could learn more about that process. After radiation, I will start a daily hormone suppression pill that will last for 5 years. I would be basically under the Oncologist's care for 10 years! 10 years - that's longer than some relationships. I told him, I was not sure I wanted to know him that well!!! Another important discussion was my port. While he did not want to discuss taking the port out as of now, he did remind me that after treatment the port must be flushed (basically a needle poked in and saline to clean it) at least every 2 months or it will clog. So, between 6-8 weeks I will need to go in and get the port cleared! I can't escape the needle!!! 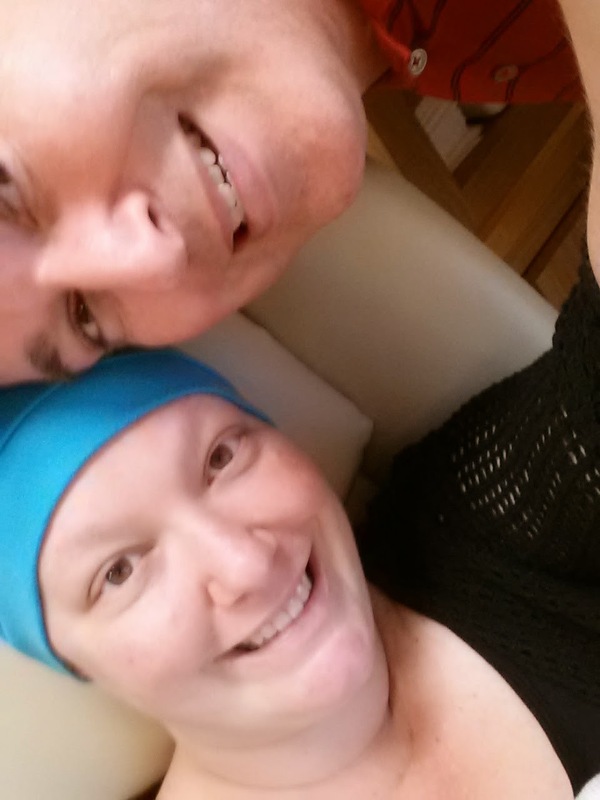 My chemo buddy today... my hubby! 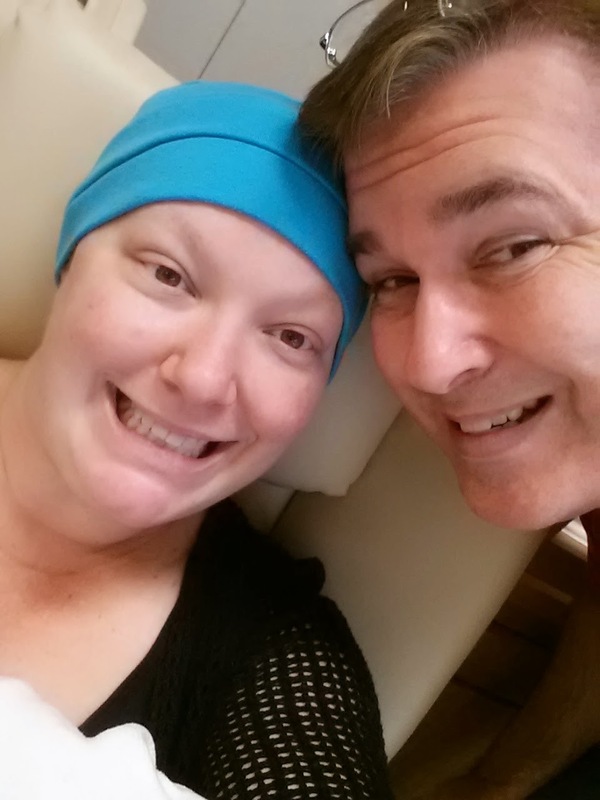 So after an earful of information, we headed out to scheduling and then to treatment. 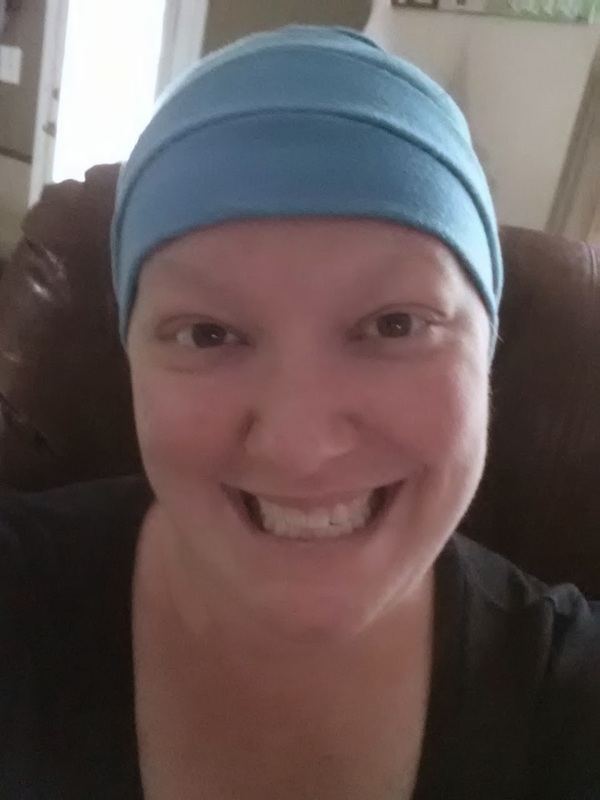 I got piled full of warm blankets, drank a bit of water, and got my chemo groove on. Of course, I had compiling side effects and adding new one's into the mix. I have constant crying/running eyes. Nothing like walking around with eyes that teared uncontrollably. Also, my heart rate was running high (above 100, even at rest). It was crazy high when I was at all active. As well as more swelling in my feet and darkening veins. Oh, and my fingers were getting more numb and the area under the nails were turning red... along with the hundreds of other side effects. Who knows what the last three treatments will bring?!?! Only 3 more weeks of side effects! I think it is pretty apparent... 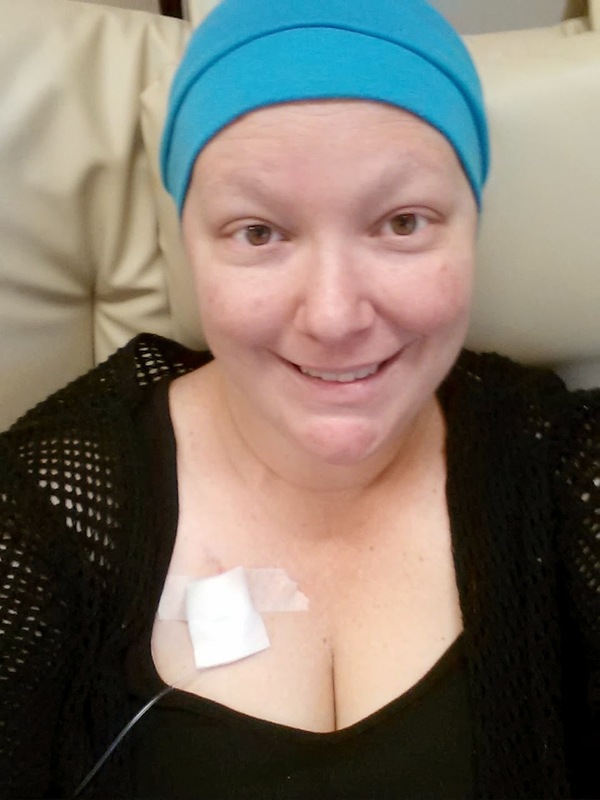 I am all about only three more treatments to go before I wrap up my chemotherapy journey. While I know what to expect, I still have a to prepare myself for all that each visit entails! I still have a tiny sense of dread before going in and coming out of each treatment. I know what I am in for when I walk into the treatment facility and I know that I have no idea what I am in for when I leave the treatment facility. Either way, I am so close to the end... well, of at least one part of my cancer treatment!! !